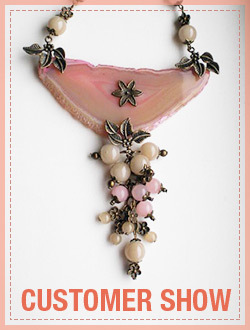 Wanna some chic dangling earring for some prom dress? 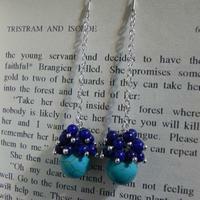 This tutorials told you how to make a long drop earrings with some turquoise beads and lapis lazuli beads. 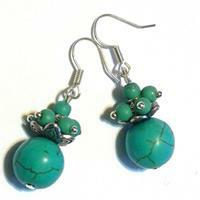 You just need 6 kind of materials and several steps to make such a cute turquoise earrings. 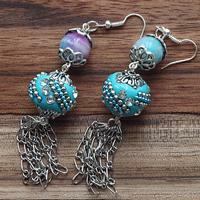 More Instructions for making turquoise earrings from Lc.Pandahall.com. 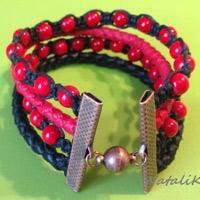 This tutorial will show you how to make a multi strand leather bracelet with natural agate beads in alternate black and red pattern. 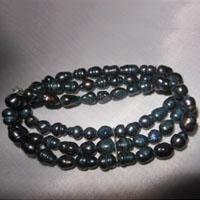 Glass bicone beads can add amazing glow to your design. This tutorial will show you how to make a beaded bracelet with crystal bicone bead and small seed beads. So follow me and give it a go yourself! 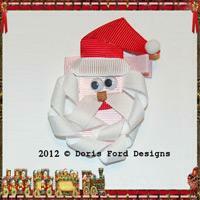 This tutorial is for making santa claus crafts for kids. Santa Claus must be the most popular person at Christmas festival. Let’s how to make a santa claus now! Girls always prefer flowers, right? How about DIY silk ribbon flowers for hair ornament? 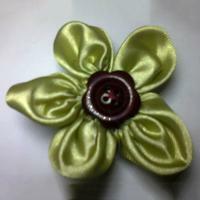 Follow me and learn how to make silk ribbon flowers within 15 minutes now! 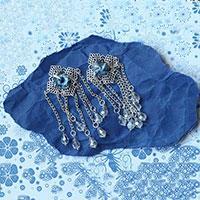 Today’s tutorial shows you illustrated instructions on making earrings with beads. 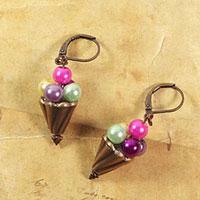 This pair of ice cream earrings is perfect jewelery for those who love ice cream and mini food charms! This tutorial will show you how to make ribbon bracelets with beads in an easy way. DIY ribbon bracelet for the coming Christmas by following us! 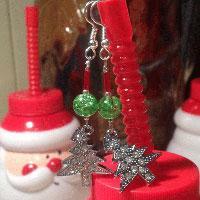 In this quick-to-learn tutorial, we will show you a simple & fast way to make Christmas earrings with lovely Christmas trees charms. Decorating vases is one of the great things when it comes to decorate your home, as they're beautiful and can leave us in good mood. 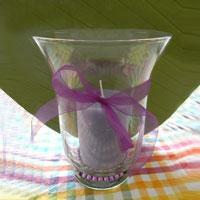 In this article, we'll tell you how to decorate a vase with ribbon. A pearl cuff bracelet always looks elegant. In this tutorial, you only need a few simple materials to make such a beautiful 3-strand bracelet with only a few materials. 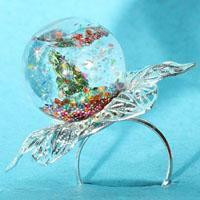 With various glitter particles, this snow globe ring is extraordinarily precious. Let’s see how to make a christmas ring with simple steps! 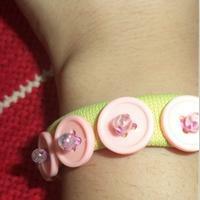 This tutorial aims to tell you how to make a button bracelet by pink button and recycled fabric. 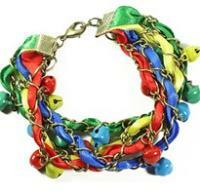 Among bracelet designs for girls, this one is both economical and beautiful! 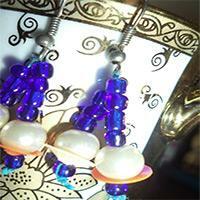 I made a pair of royal blue dangling earrings by materials on Pandahall! 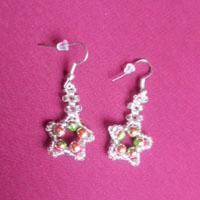 I was glad to share with you how to bead earrings in an easy way. Here we go! A braided friendship bracelet is a perfect gift to show love to your close friends. In this tutorial, you will learn how to braid a knotted bracelet. 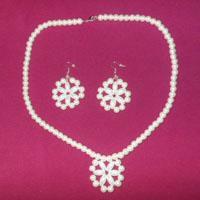 Among crystal dangle earrings, this pair of vintage chandelier earrings belongs to retro style. This tutorial is detailed with illustrations. It is easy to follow!